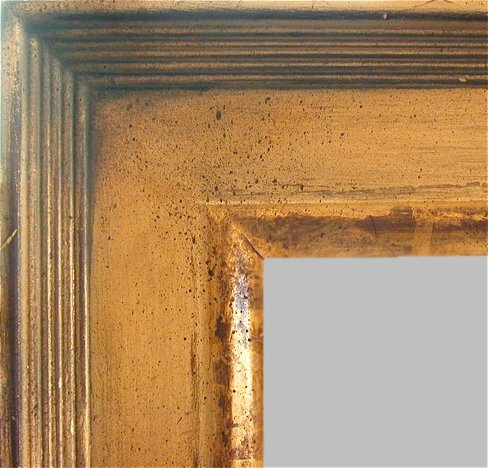 The Italian finish can be applied to any frame that is either all-gold or mostly gold (ie, burl). 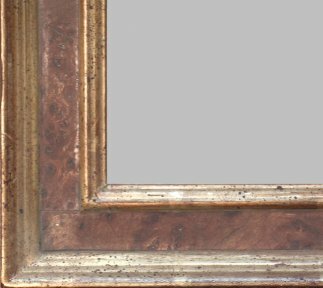 This finish consists of a neutral patina, dents, wormholes, flyspecs, and a warm wash. This finish looks especially nice on the Verona and Genoa profiles. Verona 2 with Elm Burl and Italian finish. Verona 5 in full gold with Italian finish. 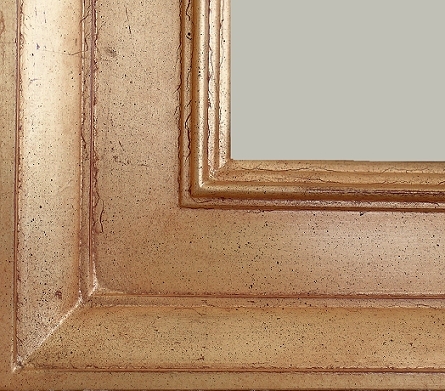 Milan in gold with sienna wash and Italian Finish.